Compensation for your work is extremely important when it comes to feeling fulfilled at your job. You want to be paid what you deserve. Lydia Fenet, author of THE MOST POWERFUL WOMAN IN THE ROOM IS YOU, shares her tips for when you’re negotiating your salary. And because I don’t want you to make the same mistake along the way, I want to lay out three things that I wish someone had told me earlier in my career so that I could have been the one announcing over brunch that I was buying a one-bedroom apartment instead of sobbing on my bed that day. Remember these things as you think about how you are going to be compensated appropriately for your work. #1. Your company is a business. At the end of the day, the success of a company is based on more money coming in than money going out. Companies want more money coming in than they want going out, so ultimately they will want to pay you the least amount that you will accept and still agree to come to work each day. I don’t want to use the phrase “your company is just not that into you,” but when it comes to paying you, your company is only going to be as into you as much as it needs to be in order to keep you for a second date. If you are good at your job, you should be compensated for your work. If you love to cry as much as I do, watch something that makes you cry the day or even the night before you go into any negotiation. Don’t get me wrong. I have a great respect for crying—I think it is a fantastic human emotion. But it has no place in the office. You need to get your tears out so that you are ready to negotiate like a boss. So many women on my teams over the years have come into my office around performance review time and started with, “I’m sorry to ask this but . . .” You shouldn’t be sorry. If you deserve a raise, I am happy to fight on your behalf. I just need to know what you want when I am going in to speak to human resources. In some cases I may not be able to get you what you want, but I can certainly try. And if I don’t think that you are ready for that promotion or I don’t feel that you are at a point in your career where you should be receiving additional compensation, I will tell you that too. Even if someone doesn’t give you what you want at that exact moment, you are still setting up an expectation for what you will want in the future, so you are giving them something to aim toward as you move up in your career. But also be ready to hear news that you may not like but need to hear in order to get more compensation. You may not be doing as well as you think you are doing. And hearing that does not feel great, but you need to understand what it is going to take for you to get to the place that you want. The truth can be hard to hear, but hearing the good, bad, or ugly can help you adjust your actions to achieve a raise. 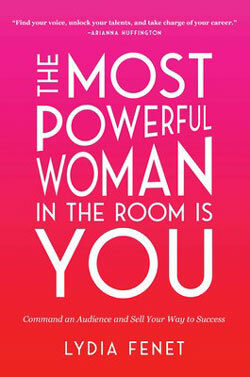 Find out more secrets to achieving career success in THE MOST POWERFUL WOMAN IN THE ROOM IS YOU by Lydia Fenet! 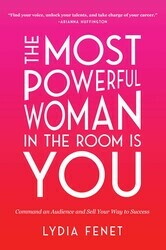 Excerpted from The Most Powerful Woman in the Room is You by Lydia Fenet. Copyright © 2019 by author. Used by permission of the publisher. All rights reserved.